The Golden Age was unique with impressive portraits, fascinating still lifes and stylish showpieces. With the exhibition Glorious Delft Blue, Royal Delft presents Delft Blue glory and the grandeur of this period in all its splendor. In various themes, a relationship is established with the Golden Age and contemporary showpieces and trends. 400 years ago the first VOC ships, filled with blue and white porcelain, returned from the Far East. This porcelain proved immensely popular with wealthy families and the European nobility. When the import of Chinese porcelain became less due to civil wars in China, enterprising Dutch seized their chance and developed their own variant of this blue and white porcelain. 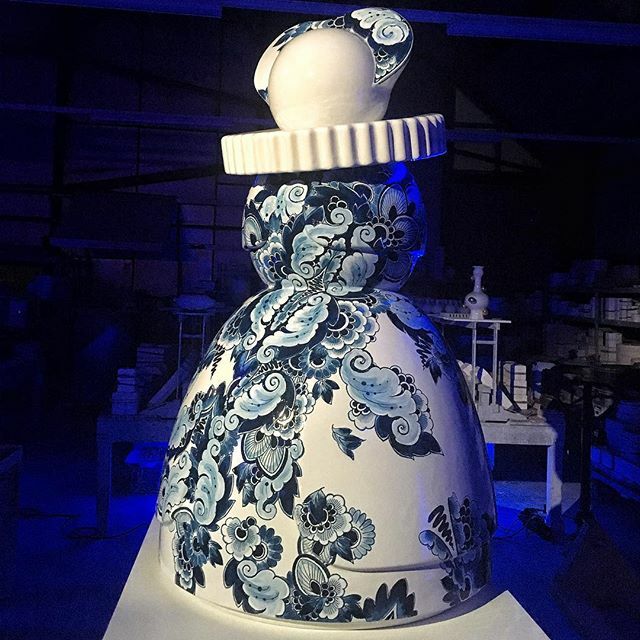 This was the birth of Delft Blue in the Netherlands. Today, Delft Blue is a real Dutch icon.